As part of the Economic and Social Research Council’s Festival of Social Science 2014, the Centre for Intellectual Property Policy and Management, Bournemouth University, brought together experts in a variety of fields to kick-start a new debate about the intellectual property implications of 3D printing. 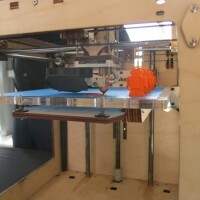 Although 3D printing as a technology has existed for more than thirty years, the advent of consumer 3D printing has the potential to rapidly advance its use. By becoming more widely available, it opens up the possibility for early adopters and enthusiasts to be involved in shaping its future uses. It also means that businesses have an opportunity to develop new and exciting content for a wider consumer market. 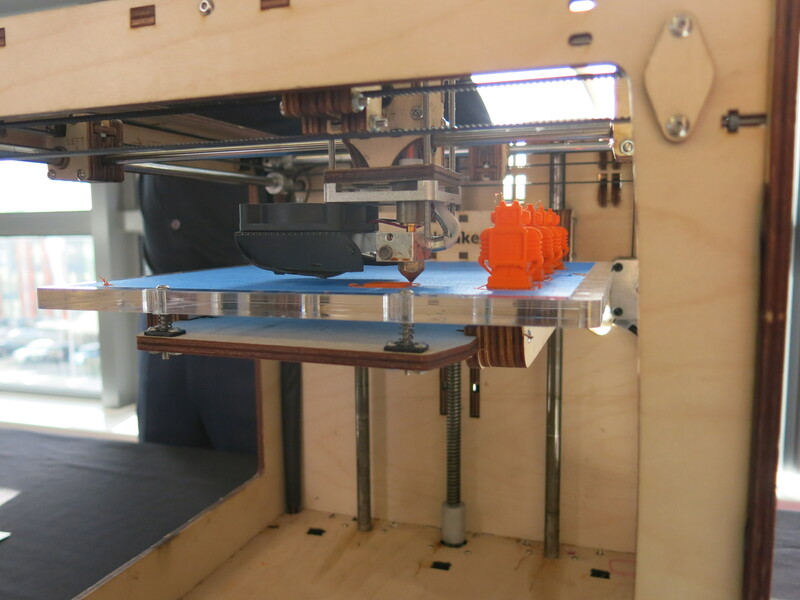 The event was complemented by an exhibition of 3D printers provided by Bournemouth University and Ultimaker – one of the world’s largest 3D printing companies and Winner of Best Consumer Product and Best Consumer Software at the 2014 3D Print Show Global Awards. Seeing 3D printers at work allowed the delegates to get hands-on experience while exploring its potential uses and adoption. However this emerging technology also raises questions about the broader implications relating to intellectual property (IP) law, economics, policy, technology, industry and society. If an item is printed at home, who is responsible for ensuring its quality? Will it change the way business models operate? What will it mean for copyright and intellectual property law? Presentations from a series of experts in both industry and research tackled these issues and more over the course of the day. The highly engaged responses from audience members illustrated exactly why a debate about the implications of 3D printing is necessary. Many of those attending had professional or personal experiences which they were keen to share and debate with both panellists and other delegates. The day concluded with a discussion of the UK Intellectual Property Office (UK IPO) commissioned Project on the IP implications of 3D Printing carried out by Dr. Dinusha Mendis (Principal Investigator); Dr. Davide Secchi (Co-Investigator) of BU in collaboration with Dr. Phil Reeves (Co-investigator) of Econolyst. By bringing together a wide range of stakeholders presenting their various perspectives, BU has started a very timely and much needed discussion about the future of 3D printing. The tweets from the day were captured on Storify and represent parts of the discussion and debate. The event was publicised through a press release from the Economic and Social Research Council – one of only a small number of events to be chosen by the ESRC. The day’s proceedings were recorded and can be accessed here.